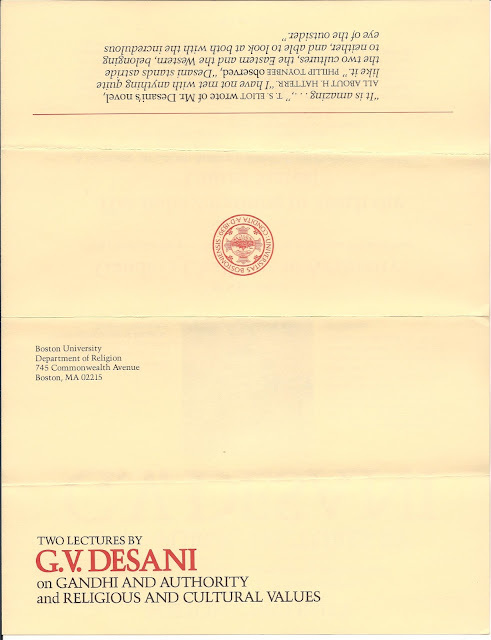 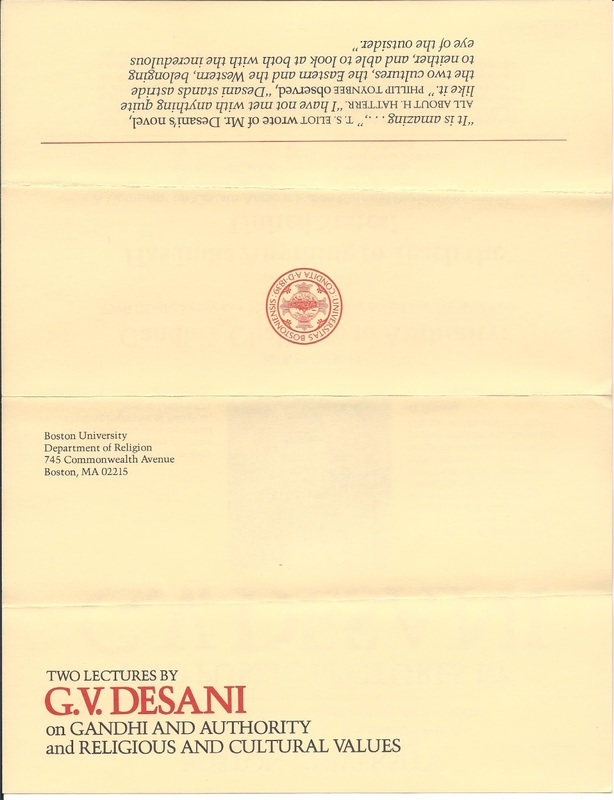 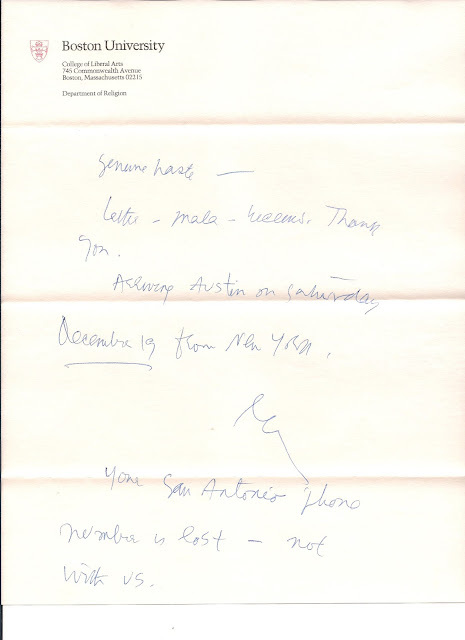 John Silber, Boston University President and former Philosophy Chair and Dean of Arts and Sciences, University of Texas, Austin, invited Professor Desani to Boston University for the 1981/1982 academic year. 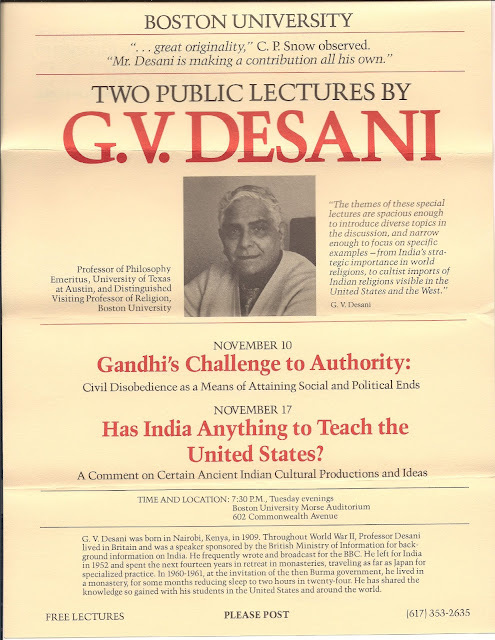 Professor posted a flyer to me announcing these lectures. 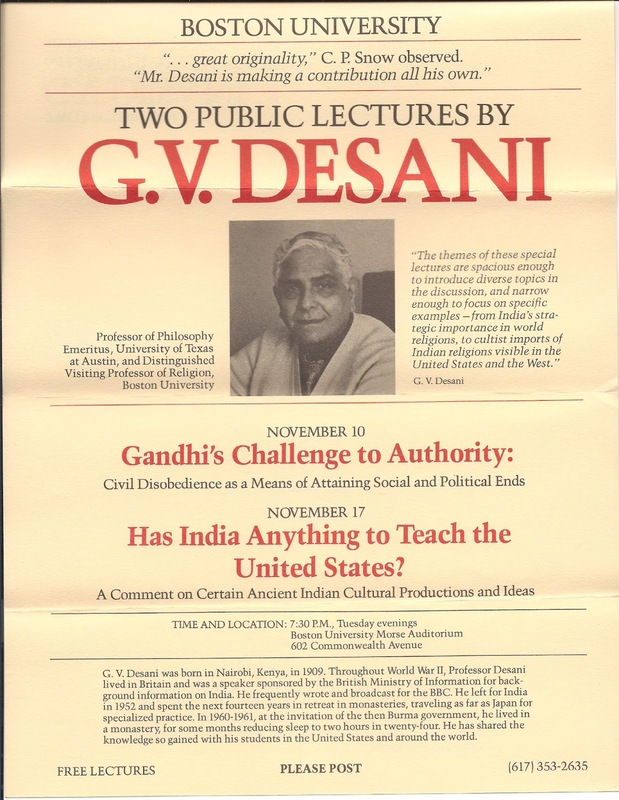 Silber was responsible for bringing Desani to Austin.